I have a surfeit of basil. The yield has been too great. I’ve had to keep potting and repotting until I had 10 pots of basil. I have distributed some to family and neighbours but I still have more basil than I can use. 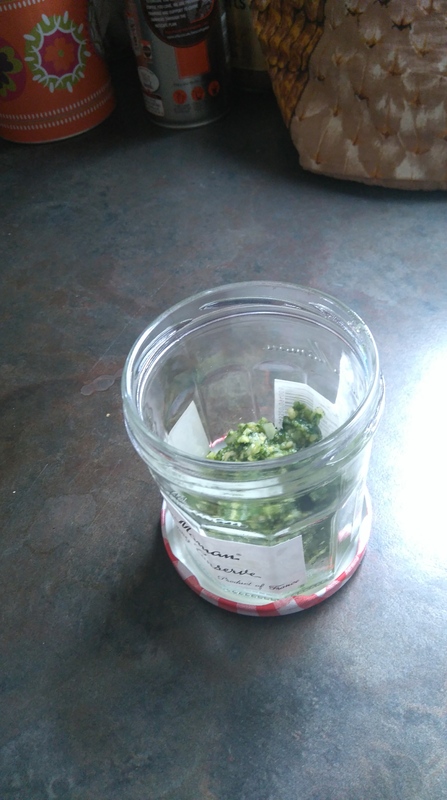 So I have made pesto. Quite a simple recipe. 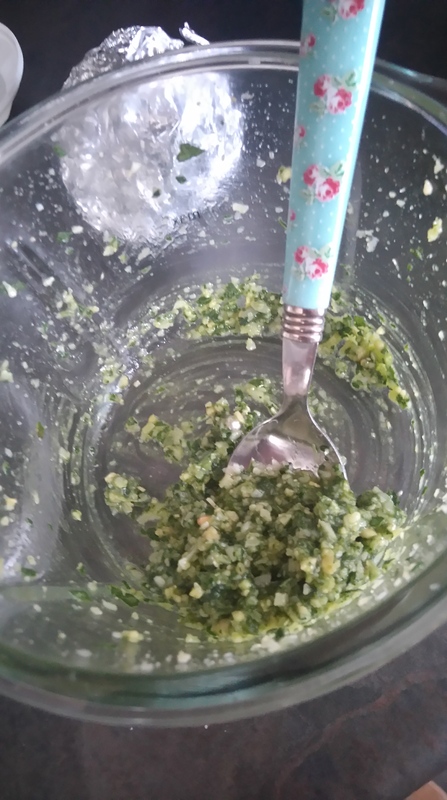 Mix them all up in a food processor or laboriously smash it all in a pestle and mortar. I would have done this but my pestle and mortar are just too small. That is some beautiful basil!